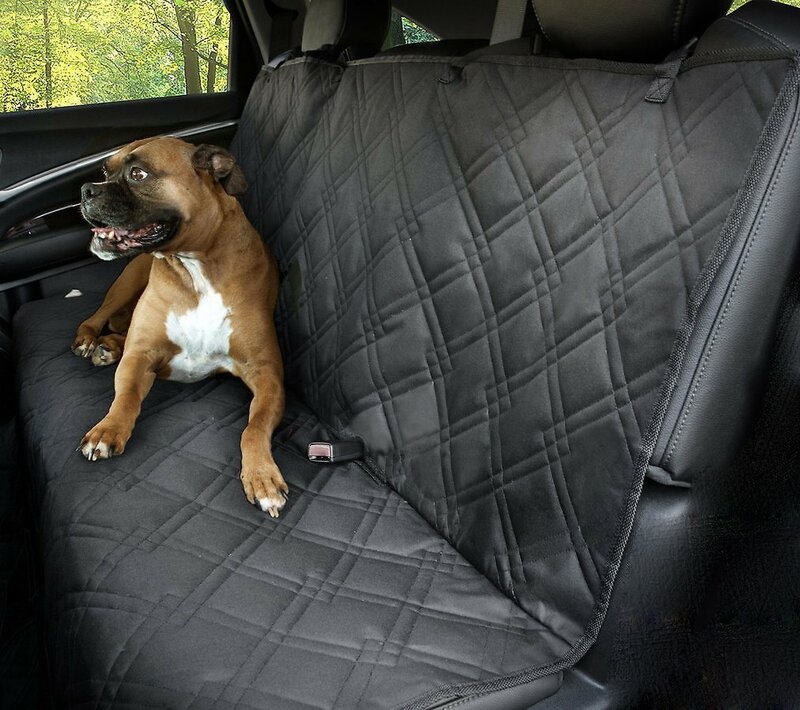 Protect your car seats from eager claws, drool and pet messes with the Parachute Pet Products Bench Car Seat Cover. The epitome of rugged luxury, it’s made with a quilted diamond material that not only looks great but is nearly puncture-proof, water-proof, dander-repelling, and can be machine-washed or wiped down to keep it clean easily. 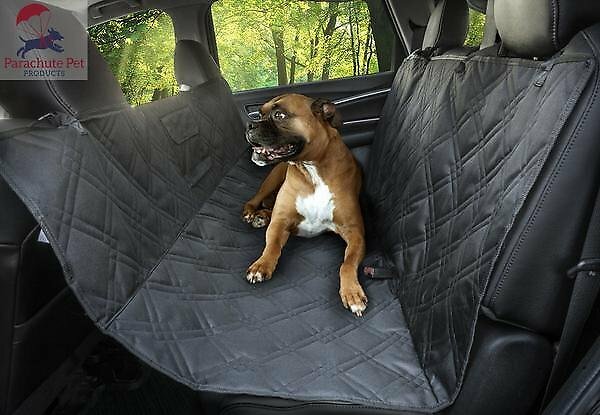 It features wide seatbelt openings so humans can ride along with their furbabies in the back seat, triple-stitched straps for extra durability, and a non-slip underside to keep it securely in place. Plus, it takes less than a minute to set it up in most cars, SUVs and trucks thanks to the universal dimensions and adjustable straps. Protects your car from scratches and all types of messes, including mud, urine, grass and more, and works with all size pets. 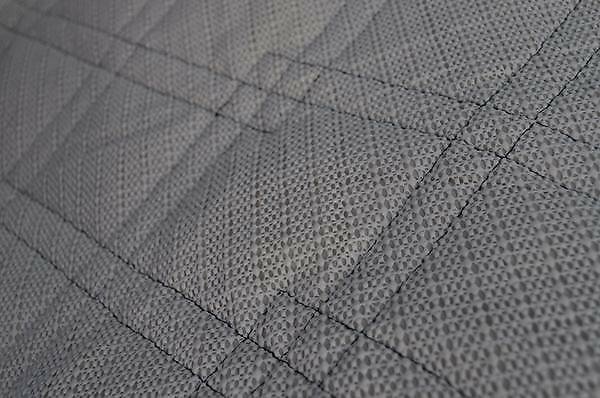 Features wide seatbelt openings and a rubberized mesh on the backside that forms a high friction grip to any seat. 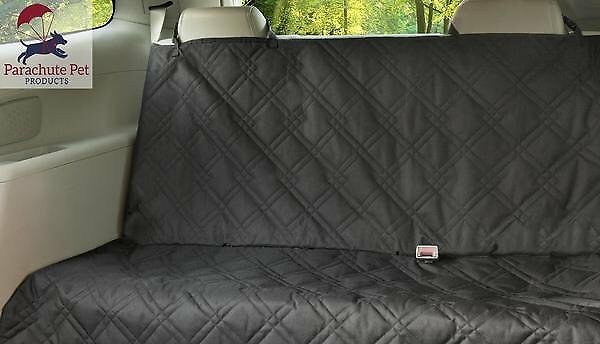 Easy to install in less than a minute thanks to the adjustable, triple-stitched straps, and can be used in the back seat or back cargo. Designed to fit most cars, SUVs and trucks thanks to the universal design. I have used several different hammocks in my cars over the years, but this is one of the nicest - and it was so very reasonably priced! I have several dogs, so the hammocks get a lot of wear. They wear out, get dirty, need to be cleaned, and - eventually - replaced. This is one I will go-to in the future. I'm very happy with it and my dogs are, too. This is just as good as the other car seat cover I have bought from Chewy that costs twice as much. The only difference is that there's not a flap for the wheel bump out (like you have in cars like my Subaru Outback) and it doesn't come with seatbelt/leash clips. It offers plenty of coverage for my husband's smaller Subaru WRX though. I am really happy with this purchase. It fits wonderfully and it's perfect for what I need. I recently purchased a new (to me) vehicle with leather interior and one of my dogs has extremely touch nails so I was afraid of her damaging the seats. This is perfect for me. Easy to install, easy to clean. I would recommend it to anyone. And if it wasn't below zero outside I would take a picture. 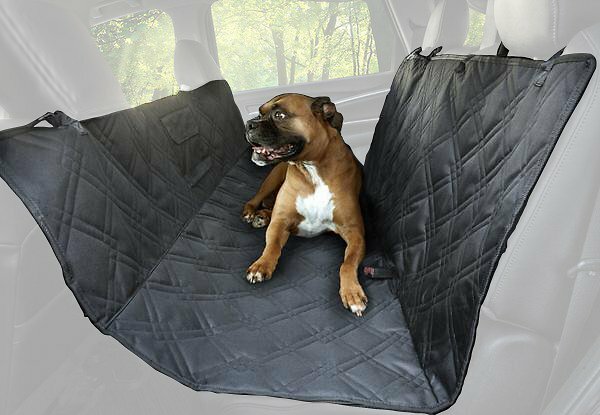 I ordered this to protect my '11 Toyota Tacoma backseat from my rambunctious Rottie. It was extremely easy to install, and the coverage is great! It is very well made, sturdy, and has already held up to several water spills, and very muddy feet. It cleans up very easilly with a quick wipe down. All this at a great price! Hey there Chewies! I really wanted to like this bench seat cover. I had it for just a few months and then the strap broke that wraps around the front drivers seat... Ugh! It really should last longer tan 1 1/2-2 months.. I can't say enough about this seat cover. Fits my jeep perfectly, doesn't show dirt, washable by wiping or putting in washer, stops my dog from getting up front, dog can be hooked to seatbelt for further protection. You don't want your dog getting hurt or slung around. This thing is worth more than what I paid.